The coatings are applied using an innovative coating process using proprietary application tools allowing very thin and homogeneous films. Depending on the tool geometry, different coating patterns (number of stripes, full-width coatings etc.) and properties such as film thickness (from 1 µm to 2 mm) can be generated. Furthermore, the coating speed is freely adjustable up to 1 m/s, which is generated by moving the substrate instead of the tool. 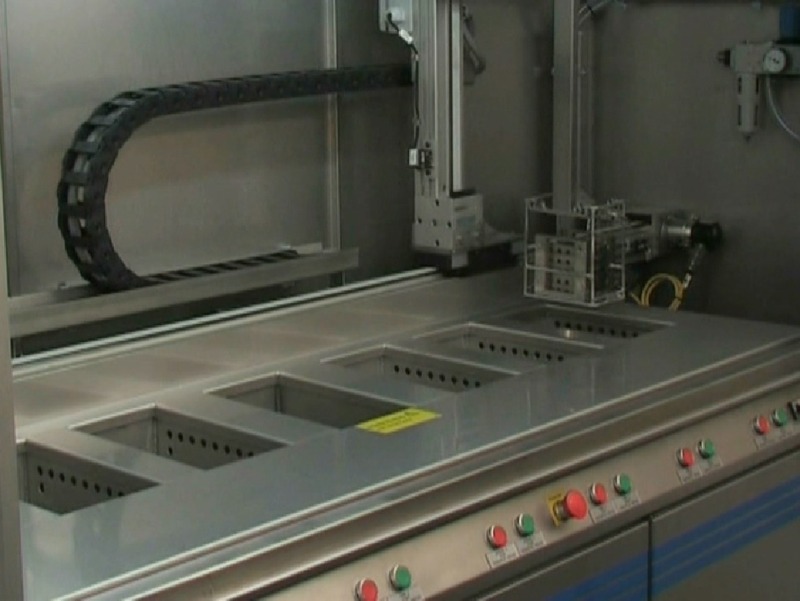 As two substrate holders are available, an automated switch from rigid to flexible substrates is possible. Additionally, multilayer coatings can be performed. The tool is cleaned and/or exchanged automatically after the coating application. For drying, two IR units can be operated independently. The full substrate surface can be heated homogeneously to the target temperature (up to 300 °C) by adjusting the transfer speed and the IR power. Furthermore, there is an option to heat the substrates from the back-side to mimic induction heating. 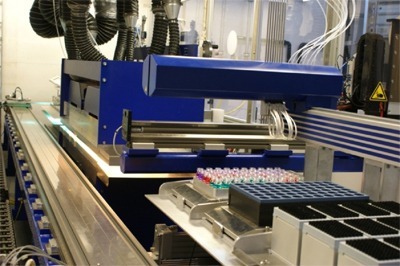 UV curing is done using two UV units, which can be operated individually at different power, with different bulbs. Furthermore, the curing can also be performed under inert conditions by using a nitrogen flush. Very often substrates need to be pre-cleaned before the coating application. 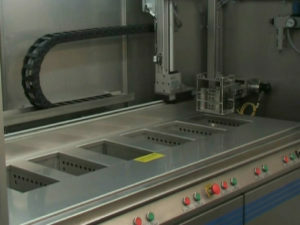 For this purpose an automated cleaning station (FinnSonic) has been developed for cleaning glass and metal substrates.